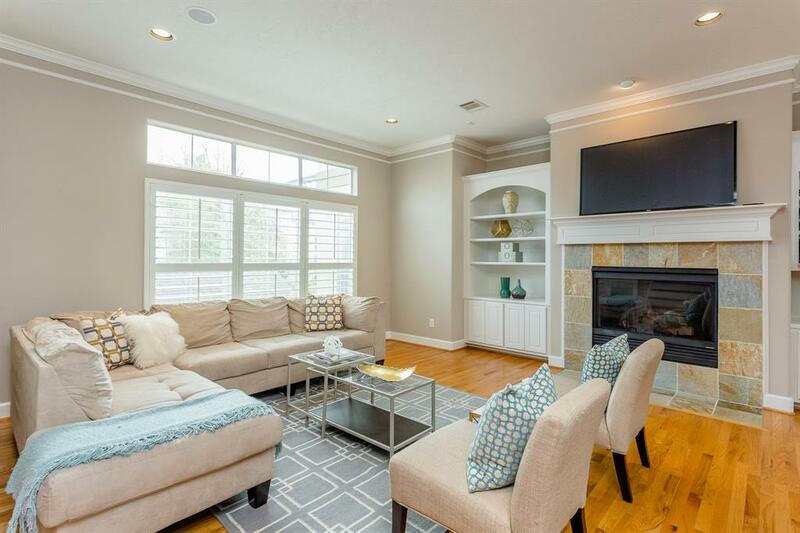 METICULOUS home w/WELL THOUGHT OUT FLOORPLAN by AWARD WINNING LLOYD RUSSEL HOMES! 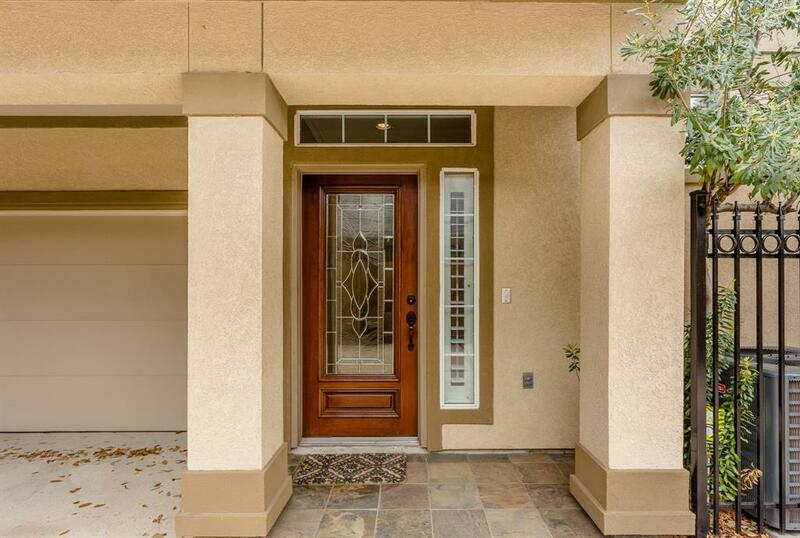 STONE TILE in Foyer & plenty of wall space for your art collection! 1st floor bedroom has ensuite bath & 2 CLOSETS! 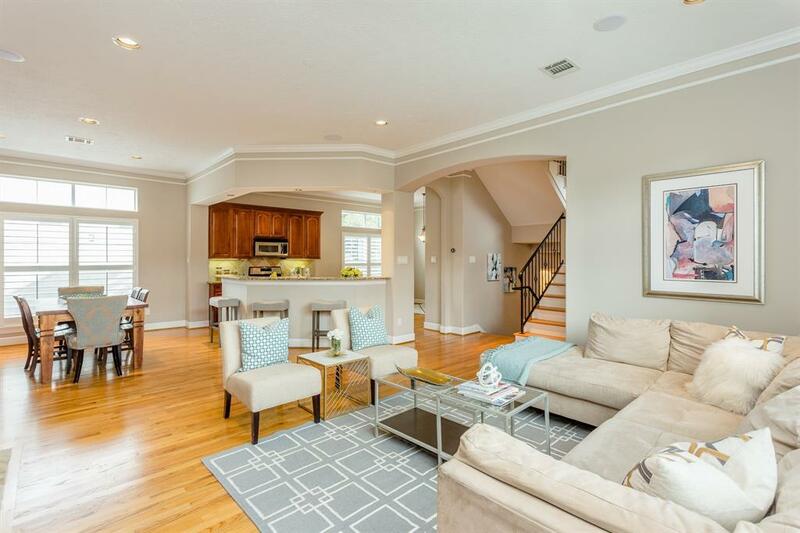 2nd floor INVITING LIVING ROOM has 10 FT CEILINGS, 8 FT DOORS, GASLOG FIREPLACE, OVERSIZED WINDOWS w/transoms & SHUTTERS fill rooms w/NATURAL LIGHT. CHEF'S ISLAND KITCHEN, w/stained abundant MAPLE CABINETRY, GRANITE counters, STAINLESS Appliances. DINING AREA & BFAST AREA (CURRENTLY USED AS STUDY). 3rd FLOOR HAS BEDROOM w/ENSUITE BATH & MASTER w/11 FT CEILINGS, SITTING AREA, 2 LARGE CLOSETS, ENSUITE SPA-LIKE BATH w/6' JETTED TUB & SEPARATE SHOWER w/GLASS ENCLOSURE. 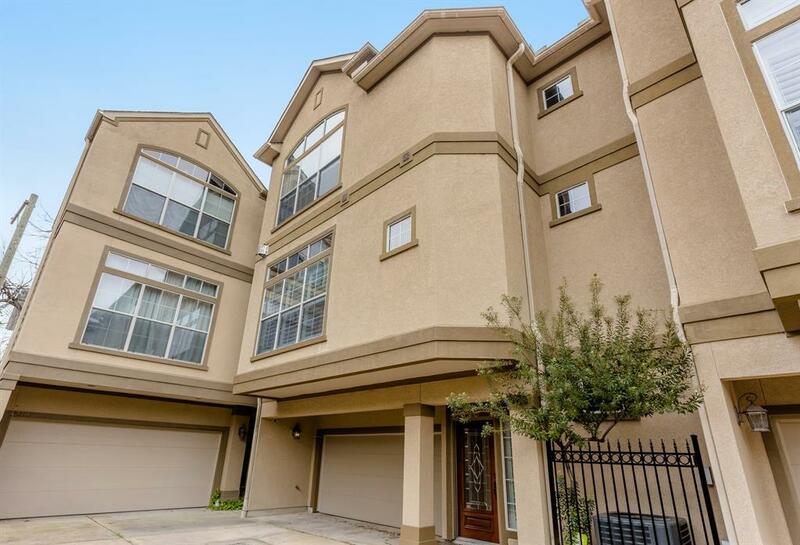 Recessed lighting & speakers, Extensive Moldings, HIGH CEILINGS & art niches throughout. SOLID OAK HARDWOODS on 2nd flr & stairs, carpet in bedrooms, ABUNDANT STORAGE. Brushed nickel fixtures & hardware, UNDERMOUNT SINKS, WROUGHT IRON RAILING, 2 WI-FI ENABLED NEST THERMOSTATS, ALARM, NEW AC 2018, NO FLOODING EVER! NO HOA FEES! Listing courtesy of Re/Max Metro. © 2019 Houston Realtors Information Service, Inc. All rights reserved. All information provided is deemed reliable but is not guaranteed and should be independently verified. IDX information is provided exclusively for consumers' personal, non-commercial use and may not be used for any purpose other than to identify prospective properties consumers may be interested in purchasing. Data last updated 2019-04-24T17:13:16.187.